Been living over at the Muff's forums for awhile...things seems to have slowed down a bit here, so I've just been going with the flow! Circuit boards and rare transistor sets are now in stock! When I sought out to make a DIY 909 kick drum for my modular, I naturally stumbled across a thread over on Muff's where people were pulling their hair out trying to get some designs others have posted on the 'net working. The general consensus is that none of the PCBs others have made work like they should. Also, none of them have the crucial noise generating circuitry. For some strange reason, they just did not include it. 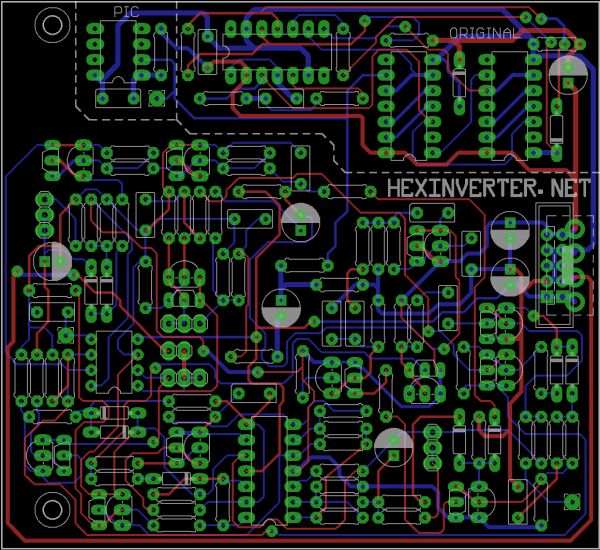 Anyhow, I'm currently laying out the PCB for a 909 kick clone. I will be converting component values so it can run from +/-12V and still sound proper. It will also natively support +/-15V like the original. I will be getting some boards made for myself so was wondering if anyone else would like some as well! They will be double-sided boards, easy to follow and feature some handy build documentation. I will be providing a Mouser project cart and a BOM to help people get parts easily. Let me know if you are interested. I'm not taking preorder money but I will keep a running tally so I know how many boards to order, so please let me know if you are interested! I will be posting sound/video when I prototype. The board is presently routed and just has to be prototyped, then later, ordered. There are holes for original 2SA/2SC series transistors if you want to go the rare component route. Otherwise, you can use common BC series transistors. 2.) a PIC-based 3 component setup that should (in theory) sound the same (tests to come). ...and the regions bounding these parts are clearly labelled. This is the only diversion from the original circuitry -- the addition of an alternative noise source. I will have some PICs on hand if folks want one preprogrammed with my noise code programmed into it. I modelled the code to work the same way as the original CD4006 noise generator. White noise is created via a 32bit linear function shift register internally on the PIC -- on the Roland design, it is achieved by two cascaded CD4006s and an XOR gate, instead of in code. --> Put yourself on the hexinverter.net mailing list to be notified when in stock! Really chugging along on this! I expect to have PCBs ordered by the end of the weekend! Yipee. Hi there, definitely interested in 1 pcb, but this would seal the deal ->"and maybe a clap and snare down the road" hehee. Right on man Glad to have ya on board. I am also adding an (optional) opamp for buffered output of the noise generator signal -- so, in the future, if I make more of the 909 voices, you don't have to repeat the noise section on each module -- you can then just chain it to the different voices (since almost all of the 909 drums use the signal at some point). The noise section is the only area with some annoying parts in it...the CD4006s are discontinued now. While not hard to find, the NTE replacement at Mouser is $3/pc so it saves ya $6 or so per module if I make more of 'em! Keep in mind it is running on +/-12V when it should be on 15V. I will need to adjust component values, then it will sound a lot cleaner (less noise once the amplitudes are corrected) as well as the controls working better. what do you think pricing will be? what are the 2sa/2sc numbers? and are they subbed with bc557/547? 2SA and 2SC are rare original trannies. Their full part numbers are 2SC2603 and 2SA1115. You need 6 of each for one kick. I will have the rare trannies for sale. $20 for a set of rare transistors to do one kick with. The modern substitution is BC549 and BC559. PCBs will be $25 each. It is a 98x98mm PCB so is quite the bit of surface area. How does one decide on what's a good sub? I know there are some factors (voltage ratings, HFE/beta values, etc) that you can map to rough equivalents, but it seems that most of the general purpose NPN / PNP transistors out there have similar specs? 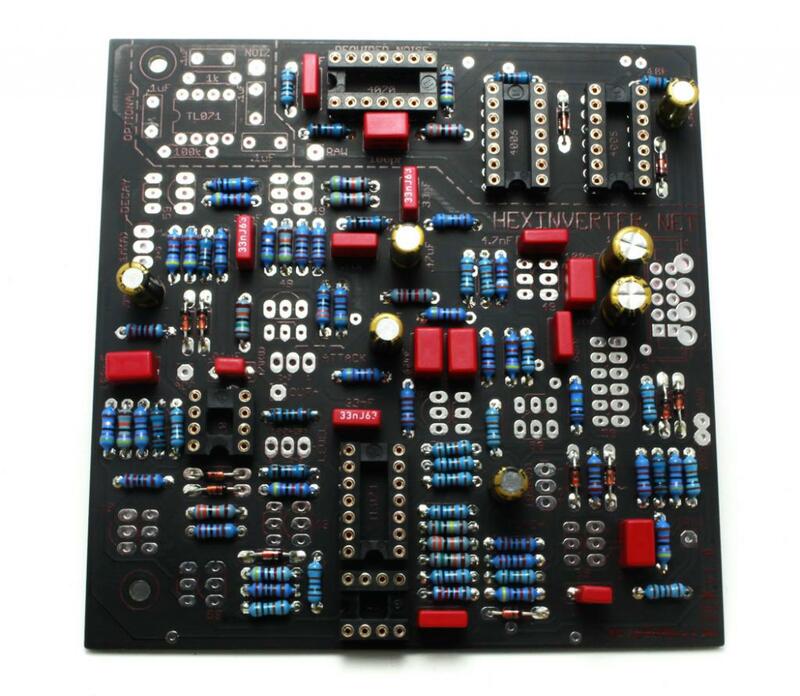 I just built an 808 kick stripboard from one of the other forum posts here, and it called for BC546 & BC556 per the Eric Archer clone circuit. I didn't have any, so I subbed BC547 and BC557 and I can't really tell the difference between how mine sounds and how samples of the others sound. I see here you're recommending the 549/559 transistors....why did you pick those? The ones used were selected simply for their low noise characteristics That's pretty much it. You're never going to get the exact same other specifications as the original transistors, so pretty much anything will give good results -- just, maybe not identical, is all! Well I would have, but $49 shipping to the UK is outrageous. Anyone in the UK up for a group buy? Yes, it is outrageous. I wish I could do something about this, but Canada Post is going down the shitter and taking its customers with 'em! What were you trying to order? It may be that it can be cheaper. Usually with PCBs, it's just fine to send over $100 worth of them as lettermail, because lettermail seldom gets lost. It's the small packet stuff that gets lost a lot and I wind up paying out of my pocket for reimbursements for! Send me a PM and we'll work it out for ya. I was just after 1x NeinOhNein Kick with transistors, total $88 makes it prohibitively expensive. I don't care for insurance, tracked, or signed for if it's going to triple price of a board. Send it 2nd class basic rate for all I care, even if it takes a month to arrive, I'd rather wait patiently than empty my bank account. ...Or maybe we can get a group buy going in the UK. Anyone in? Hmm...are you sure there was not another shipping option offered? Shipping is more like $8 for that to go in a bubble mailer, as it can go lettermail no problem (and be there in just a couple of weeks, to boot). It shouldn't be your only shipping option...that's express shipping with tracking! If you're sure there was no other shipping option, it must be that something's wrong in my shipping software that I've not yet noticed. If you wouldn't mind bearing with me I will try and see what's up in my shop's back end. It looks like you have it in your cart with cheap shipping selected, unless I am mistaken? Let me know if it's still giving you problems and you can just send me a direct PayPal payment. It starts off with the basic $3 shipping, but when I get to the shipping page, it adds $49 to the total. 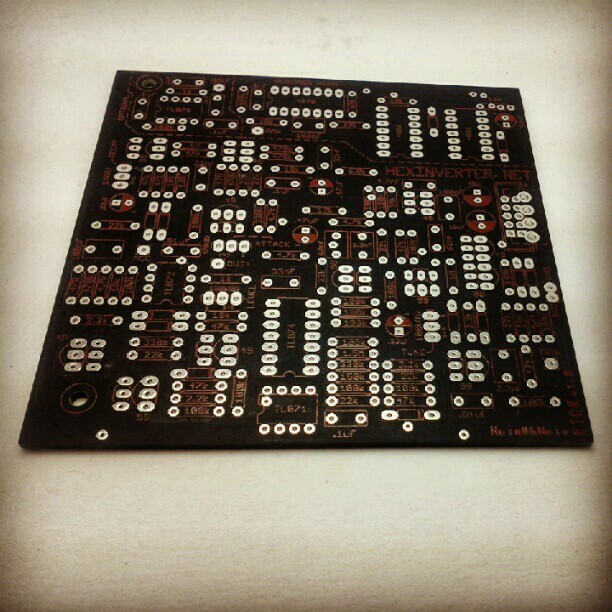 So how much is the best price you can do shipping for on one 909 kick PCB + transistors? What's the chances of a drum sequencer happening in the near future?